Thanks to Four County Players for having us out there last night and for everyone in the audience for coming out! Thanks especially to Jerri and Row! 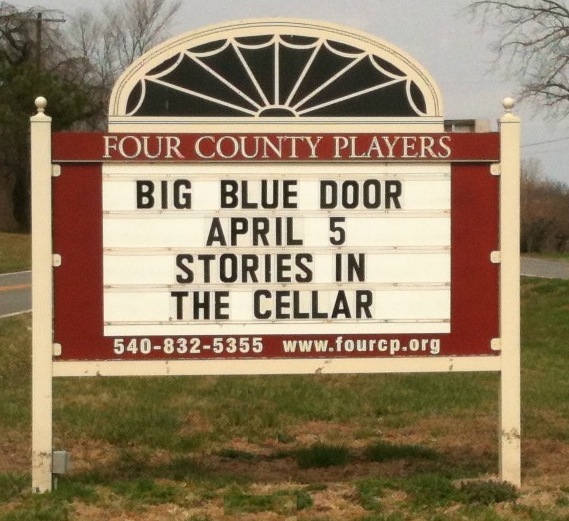 We had a great time bringing favorite stories from our monthly Big Blue Door Jam in a new place in front of new people. Thanks to Graelyn Brashear, Elizabeth Derby, Claire Terni, Anna Jones, Mickey Kampsen, and Jude Silveira for their great stories! Thanks to Jennifer Jones for stage management/production/photography!